Shortly after U.N., IGAD, and U.K. defused a potential armed conflict between Somaliland and Puntland in Sool province of Somaliland, Puntland vows to reignite the violence, undermining the International community’s mediation efforts. And the Somaliland officials are now baffled about Puntland’s unpredictable behavior. However, as war gathers momentum, the outcome of a final showdown between the defending Somaliland troops and the invading Puntland’s clan militias is predictable. But the conflict is a prelude to a brewing proxy war between Qatar, Iran and the Houthi rebel group on one side, and the UEA, Saudi Arabia, Bahrain and Egypt on the other. Hence, the Middle East power struggle plays out on a new stage that is already volatile. First, Puntland’s imminent war rhetoric catches the Somaliland leaders off guard. 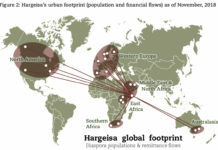 More so, Hargeisa, Somaliland capital, faces a dilemma. 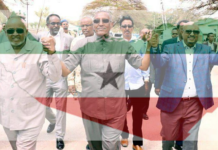 On one hand, Somaliland wants to honor the International community’s mediation, and in fact, it withdrew its security forces from the contested area of Tukaraq village. On the other, Somaliland cannot sit idle while Puntland gears up for violence. 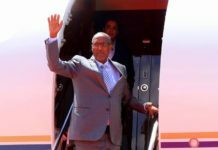 Amazingly, the current Somaliland President, Muse Bihi Abdi, a former army commander who led successful battles against the deposed Somali tyrant, Gen. Mohammed Siad Barre in late 90s, appeals for peace and dialogue while the Puntland leader, Dr. Abdiweli Mohamed Ali “Gas” remains belligerent and provocative. In Puntland, the so-called war committee members never mince their words either. Nor do they utter war rhetoric without the tacit approval of their boss, Puntland’s top leader, Dr. Ali. On August 19, 2018, the committee beats the war drums again, “U.N and IGAD visited Puntland twice to mediate Somaliland and Puntland, but we reject their efforts and the war will continue…I swear in the name of God, there will be a war…it is going to happen…Puntland people, get ready for war…”, states Puntland’s Interior Minister, Abdullahi Timma-Adde. Evidently, the war committee members are none other than the government ministers and Member of the Parliament who should be held accountable for their tireless effort to instigate violence. Most of them, including Dr. Ali, have foreign passports and assets abroad. 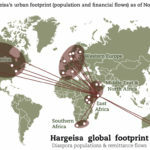 At a minimum, the International community should advocate for revoking their passports and freezing their assets if they opt-in waging violence against Somaliland. But as Puntland ratchets up its threat to attack Somaliland security forces, Somaliland army commanders prepare for a deceive battle that will render the invading Puntland clan militias ineffective. 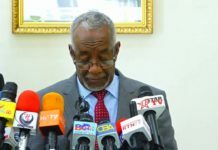 If violence erupts in the region, the Somaliland army plans to set up a chokepoint at the highway between Puntland’s capital, Garowe, and its commercial city, Bosaso—splitting Puntland into two isolated regions. Additionally, Somaliland may place its heavy artillery within a striking distance of Garowe, targeting Puntland military bases on the outskirts of the city. Furthermore, establishing a new administration called the Nugaal State of Somalia (NSS), independent from Puntland, where Garowe will be its new capital, lingers in the minds of the Somaliland army commanders. The NSS enclave may be controlled and administered by the Dhulbahante clans who are part of Puntland and Somaliland. It is worth noting that the disfranchised Dhulbhante clans are happy with neither Somaliland nor Puntland. Historically, they lost much of the Nugaal region to the Majerten clans of Puntland. Currently, a battle between the Dhulbahante and the Majerten clans rages in Nugaal region. Reclaiming the NSS region and the Nugaal Valley onshore blocks may be the begging of the end for Puntland. So, why Puntland leaders’ are eager to wage a suicidal war? Of course, they are not naïve. But their strategy can backfire, as they continue miscalculating. Doubtless, they face two formidable challenges. For one thing, they have mobilized enormous resources for the war cause from the local clans and the Diaspora community. 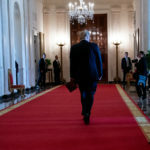 And now they are accused of emblazing the funds and their daily war bluffs—huffing and hissing from a distance—are no longer taken seriously. For another, Puntland’s top leader desperately wants to cling on to power and delay the upcoming Puntland’s presidential elections, in January 2019. As the election approaches, Dr. Ali gears up for war, rather than campaign for his re-election. And as Puntland’s Interior Minister, Abdullahi Timma-Adde echoed, violence will flare up again. Predictably, two to three months before the election date, Dr. Ali will strike Somaliland. Therefore, by the ballot or the bullet, he is determined to remain in power. Meanwhile, the Somali regime in Mogadishu seems to engage a different war with Somaliland. Qatari and Iranian money at its disposal, Somalia is obsessed with undermining the agreement between Somaliland and UAE to develop port Berbera and build a military base in there, as well. After ranting about the port deal for several months, Mogadishu realizes that it can hardly do anything, legally, politically or militarily, to hinder the project much less nullify it. 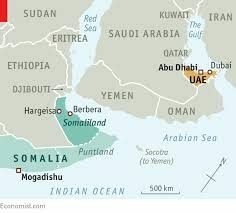 Alternatively, Somalia uses Puntland as the stepping-stone to embroil Somaliland into a full-scale war to at least impede the UAE’s initiatives. In contrast, Somaliland considers Puntland as the obnoxious child of Somalia. And just as the German shepherd dogs ignore Chihuahuas’ bluffs, Somaliland rarely dignifies an answer with Puntland’s raves. For Somalia, however, its nauseating child is now a useful tool. 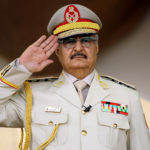 Moreover, the Iranians are funneling huge resources to Mogadishu through Qatar to stop the construction of the military base in Berbera, where the UAE plans to launch military strikes against the pro-Iranian Houthi rebels in Yemen. As Somalia disbands UAE’s military training program, Iran and Qatar fill the vacuum, ramping up their support for Mogadishu. Already, weapons stolen from the UAE training facility in Somalia remain awash in Puntland. Without a doubt, the looted military hardware will be used against Somaliland security forces—a problem, inadvertently, created by the UAE. Now, if the UAE fails to shore up support for Somaliland, Hargeisa may succumb to the overwhelming Qatari and Iranian financial support pouring into Mogadishu, Houthi rebels’ threats against Berbera—and more dangerously, the large quantities of the UAE’s weapons reaching Puntland. To make matters worse, recently Djibouti expels DP World from its territory and seizes the Doraleh container port from the DP World. Now, Djibouti is not only locked a legal battle with DP World, but it also opposes the port Berbera development. And to show that its willingness to undermine DP World and Somaliland, Djibouti now openly supplies weapons to Puntland. According to EEX Africa report, illegal weapons from Djibouti are now pouring into Puntland. Somaliland is clearly overwhelmed as it faces Djibouti, Somalia, Puntland, Iran, Qatar, and Houthi rebels. And Somaliland officials grow worrisome about the UAE’s ability to train and equip Somaliland troops, as UAE may be accused of violating the U.N’s arms embargo against Somaliland and Somalia. Nonetheless, a war may be unavoidable. As I have outlined in my article entitled, “Somaliland: U.N., IGAD and International Community Failed to Restrain Puntland” if Mogadishu and Garowe push Hargeisa to the limit, Somaliland may react swiftly and decisively. Hargeisa’ patience with Mogadishu and Garowe is wearing too thin. And Puntland’s obsession with replacing colonial borders with clan-based boundaries remains the root-cause of the current conflict—a looming disaster, indeed. Therefore, the International community should quit kowtowing to the bellicose Puntland leader. Dr. Ali should be reported to the FBI and the U.S. Homeland Security because he is a U.S. citizen fomenting violence towards Somaliland. Likewise, UAE and Ethiopia, 51% and 19% of the port investment owners, should warn Dr. Ali against sabotaging their interests. Furthermore, the newly appointed Somaliland ambassador to the United States, Dr. Bashir Goth should formally request that the FBI and the U.S. 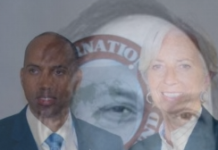 Homeland Security scrutinize Dr. Ali’s clandestine operation against Somaliland and dissuade him using Tukaraq as a smokescreen. Using Puntland as an attack dog, Somalia remains on a collision course with Somaliland. And the longer that Somalia keeps Somaliland as a hostage, derailing the divorce process between the two nations, the likelihood of a military showdown between the two nations. 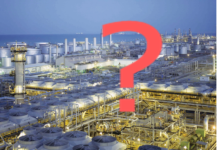 Indisputably, Somalia, Djibouti, Qatar, Iran and the Houthi rebels all oppose the UAE efforts to expand port Berbera and the construction of the military base for different reasons. And attacking Somaliland directly will attract the International community’s attention, so using Puntland as the launch pad is more logical. Incontrovertibly, the imminent war between Somaliland and Puntland is not about controlling the destitute village of Tukaraq, as it is about waging a proxy war and having access to the lucrative port Berbera. When in 2018 US is asked to stop a presumed arms trafficking in the Horn of Africa: forgotten ’90s?! Ask to mr. Clinton and his load of weapons (5000 handguns & 5000 rifles) back in ’93, caught by U.N.
Sir, you make it believe that 25 years have never passed. Let’s the operation “Restore Memory” begins.